Recommended to John by: Maybe a older woman w/ a lot to offer? Read 2 times. Last read January 1, 1970 to August 1, 2011. Sign into Goodreads to see if any of your friends have read Cheri and The Last of Cheri. Hey, thanks Sketch, & everyone else. 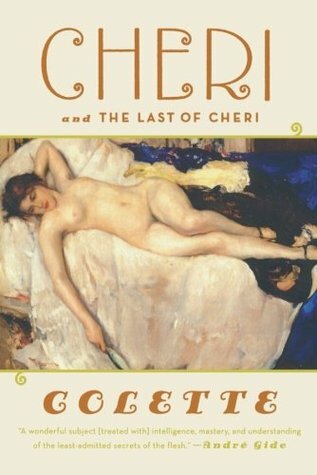 I loved Cheri when I read it in French - a Parisian woman gave it to me for light reading and I found it anything but. I read the Last of Cheri in English which certainly made it easier for me but lost the nuances of French. Your excellent close reading of this John makes me want to reread both of these novels as I immerse my self in a book the first time and come out with a clear idea of how much I loved it on an emotional barometer, but need to reread things 2, 3 even four times to really understand what a masterpiece certain books are. As I said, an underrated writer, especially in a still chauvinistic France. Lori, thanks so much. Merci du fond de coeur. That review of mine is based on the Stenhouse translation, the easiest to find in the States & highly regarded. John wrote: "Lori, thanks so much. Merci du fond de coeur. That review of mine is based on the Stenhouse translation, the easiest to find in the States & highly regarded." merci a toi - je peux te tutoyer, j'espere? I will look for it. I hate looking for books on Amazon as a retired book clerk, but sometimes just cannot find them at stores, will call the Strand though. Merci encore, m'amie. But -- you're speaking of Stenhouse/Colette? That's easy to find. Or do you mean my novels? Or what? The Strand's a great place, anyway. would like to get around to your novels.